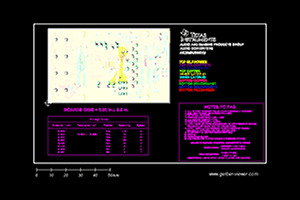 The TIDA-00176 reference design is an EMC compliant industrial interface to Sin/Cos position encoders. Applications include industrial drives, which require accurate speed and position control. The design utilizes a 16-bit dual sample ADC with drop-in compatible 14- or 12-bit versions available, allowing for optimization of performance and cost. 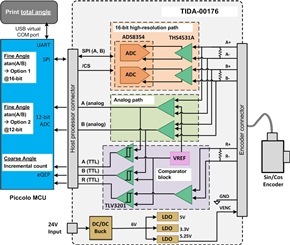 TIDA-00176 is also provides a simple to connection to external processors using SPI and QEP interfaces and allows for the use of optional, embedded ADCs. For quick evaluation an example firmware for Piccolo F28069M MCU LaunchPad is provided, which outputs the measured angle from the Sin/Cos encoder with up to 28-bit resolution through the MCU’s USB virtual COM port.